Work has been in full swing at Chilbolton, preparing for the LBA build week next week. 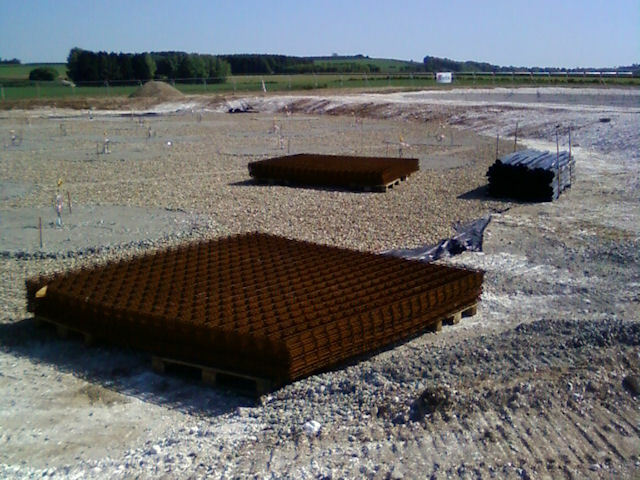 The grids and ground sheets have now been transported from their initial storage position near the main Chilbolton Observatory building over to the edge of the LBA field (about 1/2 mile away), ready for installation. It is certainly a long time since they first arrived on the back of a Dutch lorry, all the way back in November 2009. In fact, their arrival was announced in one of the very first posts here. And here is some never before seen footage taken of the arrival back in November, when some of us went to Chilbolton to witness the arrival. In the movie you'll see/hear Bob Nichol, myself (Karen Masters) and Owain Davies (formerly of STFC) discussing what all the bits are, Owain and Derek McKay checking all the expected parts have arrived, and then Owain, Bob and Alejo Martinez-Sansigre breaking the seal on the RF container to get a first look inside. 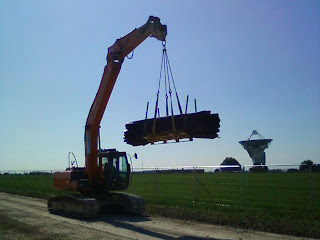 And finally some pictures showing how they have just been moved out to the LBA field. 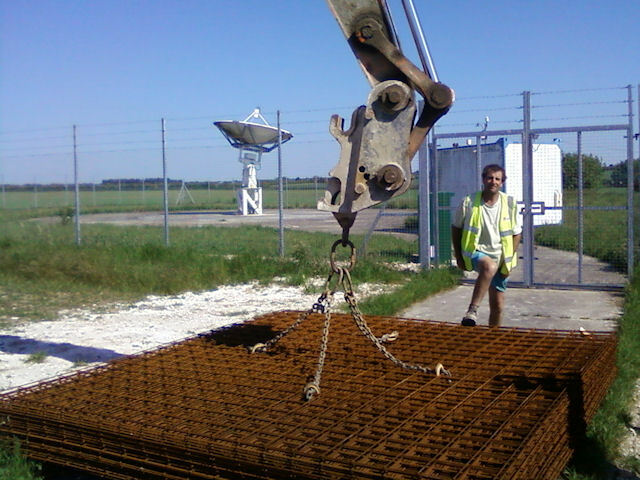 The grids were first chained up by Mark Andrews (pictured) and his crew, ready to be lifted. 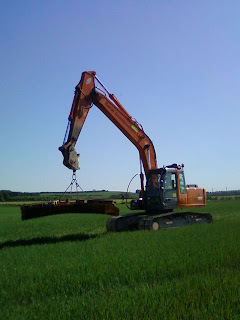 Then they are carefully driven across the field using the heavy digger (driven by John Murray). 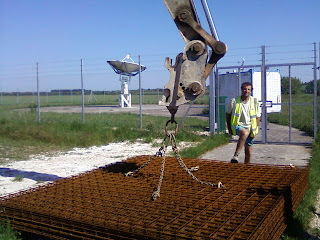 There were two loads of grids, each load weighs just over 1 ton. After moving all the grids, the ground sheets are then moved over. Two piles of grids and one pallet-load of ground sheets. All ready on the side of the LBA field in preparation for their installation.